Each year New England Conservatory musicians working in a broad range of musical genres are recognized by their recording industry peers with Grammy Award nominations. 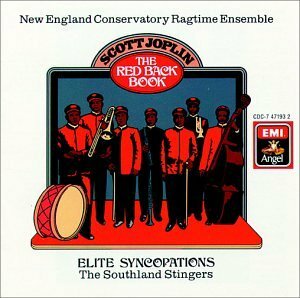 On this page we have attempted to capture Grammy winners with NEC affiliations, going back to 1973 and a Best Chamber Music Performance award for music of Scott Joplin. The nominations for each year are usually announced in early December of that year, with winners announced in a live telecast approximately two months later. Thrilled that @DavidBowieReal won multiple awards! 2016 | Best Rock Performance, Best Rock Song (title track), Best Alternative Album:Blackstar - David Bowie. Bowie's band on this album is led by Donny McCaslin of the faculty. 2016 | Best American Roots Performance (track "House of Mercy" and Best Folk Album:Undercurrent - Sarah Jarosz '13. 2016 | Best Orchestra Performance:Shostakovich: Under Stalin's Shadow—Symphonies Nos. 5, 8 & 9 - Boston Symphony Orchestra, Andris Nelsons, conductor. More than half of the BSO is composed of Conservatory faculty and alumni. 2016 | Best Chamber Music/Small Ensemble Performance: Steve Reich - Third Coast Percussion. This quartet of percussionists includes Robert Dillon '04 M.M. Best Rock Performance, Best Rock Song (title track), Best Alternative Album: Blackstar - David Bowie. Bowie's band on this album is led by Donny McCaslin of the faculty. Bowie died two days after the album's release, and McCaslin has been spokesperson and performer of this music since then. In addition to the performer awards, the album was also awarded Best Recording Package and Best Engineered Album, Non-Classical. Best American Roots Performance (track "House of Mercy" and Best Folk Album: Undercurrent - Sarah Jarosz '13. Best Orchestra Performance: Shostakovich: Under Stalin's Shadow—Symphonies Nos. 5, 8 & 9 - Boston Symphony Orchestra, Andris Nelsons, conductor. More than half of the BSO is composed of Conservatory faculty and alumni. Best Chamber Music/Small Ensemble Performance: Steve Reich - Third Coast Percussion. This quartet of percussionists includes Robert Dillon '04 M.M. Best Orchestra Performance: Shostakovich: Under Stalin's Shadow—Symphony No. 10 - Boston Symphony Orchestra, Andris Nelsons, conductor. More than half of the BSO is composed of Conservatory faculty and alumni. Best Chamber Music/Small Ensemble Performance: self-titled debut album by Roomful of Teeth, a new music vocal ensemble that includes NEC Prep alumnus Avery Fisher. While NEC had no winners this year, see NEC's nominees for this cycle. The "in memoriam" section of the telecast also included a reference to George Russell (1923–2009). Instrumental Arrangement: Straight, No Chaser - Bill Holman '91 M.M.